Red Hot Summer pulled another record crowd for Noosa this past weekend with three artists over 60 and who can still pull 10,000+ fans to a show. Dragon is opening season 3 of Red Hot Summer, John Farnham is closing. Together they have a song in common … Age of Reason. 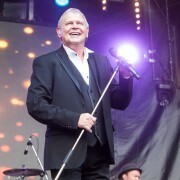 John Farnham’s Red Hot Summer return has been greeting with thunderous applause after the Australian superstar was forced to cancel a series of shows prior to this tour. John Farnham will return to work this weekend after being forced to cancel four shows while recovering from an infection. He is back for Red Hot Summer this weekend. John Farnham’s upcoming dates for Red Hot Summer series 3 will go ahead as scheduled. Daryl Braithwaite was 20-years old when he joined Sherbet in 1969. In two weeks he will turn 70. Three Australian music legends John Farnham, Brian Cadd and Russell Morris will all release new albums during 2019. Russell Morris, Daryl Braithwaite and John Farnham … collective age 208. Man are their voices in mighty fine form still! A Day on the Green will kick off the 2018/2019 season this weekend with 25 events planned from November 24 through to March 27. John Farnham will perform four By The C shows in March and April 2019. 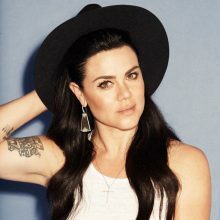 Vanessa Amorosi is working on her first album in almost 10 years and hopes to have it ready before she tours with Red Hot Summer. 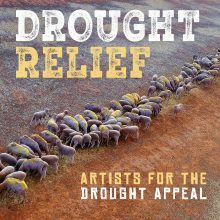 Jimmy Barnes, Midnight Oil, James Reyne and Daryl Braithwaite are just some of the artists who have contributed to the Sony release ‘Drought Relief’, to raise funds for Australia’s struggling farmers. John Farnham’s A Day On The Green Sirromet show for Queensland is officially a sell out, following ticket sales successes in the Hunter Valley and Yarra Valley. Duane McDonald’s Red Hot Summer is expanding Farnham dates to Noosa and Cairns. John Farnham will headline the remaining three dates for Red Hot Summer 2019. As John Farnham sells out yet another show, this time the 12,000 capacity A Day On The Green at Rochford Winery, the usual sarcasm has crept in once again from the (not so close) fans who consistently bring out the faux retirement story. 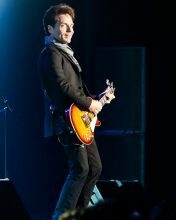 Richard Marx will tour Australia with John Farnham for the first national tour of the A Day On The Green upcoming season. John Farnham wasn’t available for the Music Victoria membership drive but Jake Mason of Cookin’ On 3 Burners was. Unfortunately, so was Music Victoria CEO Patrick Donovan who makes his vocal debut in the video. John Farnham’s Twilight At The Track show in Geelong today has been cancelled. John Farnham is sounding as good as ever, so is Daryl Braithwaite. When One Electric Day put them back to back One Electric Day delivered nearly three hours of continuous back to back hits. Red Hot Summer is heading to Sydney’s Cockatoo Island in February with John Farnham headlining a rock solid line-up featuring Daryl Braithwaite, Baby Animals, The Black Sorrows and 1927. John Farnham fans have once again proven their loyalty with their wallets, laying down their hard earned bucks for John’s Jacobs Well show in record time. Farnham will head out with Daryl Braithwaite, The Black Sorrows, Baby Animals and 1927 for dates in Queensland, New South Wales, Victoria and Tasmania in February and March. Viagogo, the go-to site for scalpers, is selling tickets to the Stuart Fraser fundraiser at up to four times the tickets face value. John Farnham, Jimmy Barnes and Noiseworks will gather for a benefit concert for Stuart Fraser, who has at one time played in all-three bands. Duane McDonald, founder of touring company Regional Touring, is demanding changes to the law after pre-sale tickets for John Farnham’s Wollongong concert were snapped up this morning and immediately on sold by scalpers. John Farnham And Daryl Braithwaite Team For Wollongong Show But Who Had The Most Hits? At one time John Farnham and Daryl Braithwaite were King of Pop rivals in Australia. In December they will team for a double header … but only for Wollongong. Duane McDonald’s annual One Electric Day music festival outside Melbourne sold out in three minutes this morning. John Farnham will be back at Werribee Park outside Melbourne to headline One Electric Day for 2017. Kids In The Kitchen will reform to perform for Pure Gold Live in Melbourne in May. Sydney will play host to a brand new music gathering, Back To Reactor1, in 2016.